Today I noticed a message in my Message Centre about joining private teams being made easier. From 23 March 2018 you can now simply search with Teams for the private teams that you might want to join. Simply request access and the owners of the team can then give you access to these teams. At first I thought that this might be an improvement, but in the past I’ve seen companies that created private teams for teams where people shouldn’t know the existence of the team unless they are part of the team. One important note at the end of the message give the option to run a PowerShell Cmdlet to keep a group hidden as it is now. Simply use Set-UnifiedGroup to set the HiddenFromAddressListsEnabled parameter and the group will be hidden. Hmm, this isn’t going to be very user friendly. 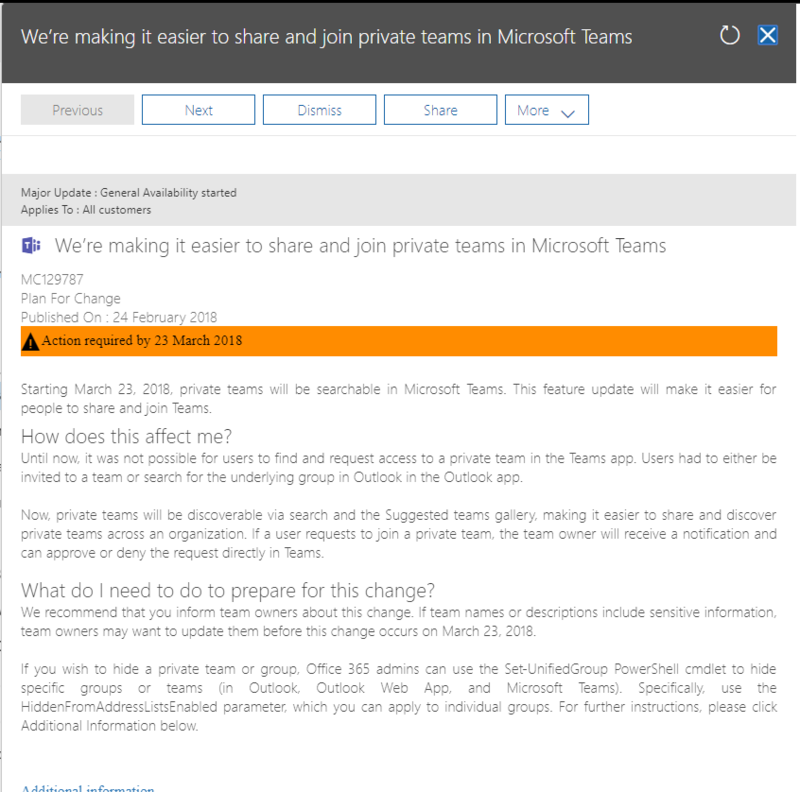 Was it really to difficult to add a tick box to the team creation dialogue that will keep the group hidden from search within Microsoft Teams?